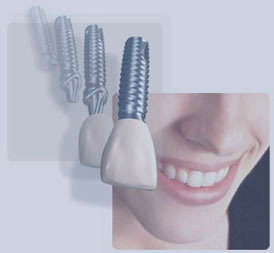 redhead family dental | implants: the right choice for you? A dental implant is fabricated from titanium and placed in a simple procedure that, generally, is comparable to a tooth extraction. 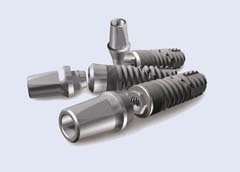 After an initial healing period, during which the implant is buried in bone and left undisturbed under gum tissue, it is uncovered and connected to a small metal post that secures and supports the artificial tooth. The implant material is extremely biocompatible. The bone grows to the implant and bonds to it. This makes the implant very strong. The process is called 'osseointegration'. Dental surgeon Dr Andreas Schwander has many years ago developed a keen interest in dental implants and started placing them in 2001 after a two-year postgraduate education. Being familiar also with rather difficult cases he can guide you in making the right decisions. Please remember that any surgical or invasive procedure carries risks.